An HOA, or Homeowners Association, is a non-profit group organized to maintain common areas within a community, while also governing the community to ensure that members function in accordance with the Bylaws, Articles of Incorporation, and covenants and restrictions of the property. HOAs are registered with the state and local governments and governed by an elected Board of Directors. Membership in a property's Homeowners Association is mandatory and each member must support the association financially and agree to live by the legal documents that govern the group. What is the Homeowners Association (HOA) responsible for? 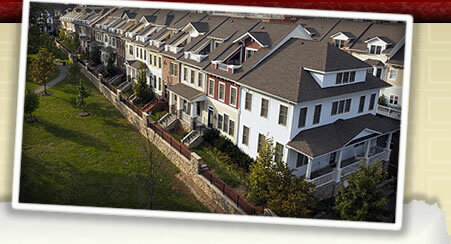 The HOA is responsible for the management and control of the common areas of the property. These common areas include the private streets and private alleyways (but not the private driveways associated with the lots), the private sidewalks and walkways within the common areas (but not the stoops, steps, driveways and porches for individual dwelling units), all water lines that are not publicly maintained, private water and sanitary sewer systems (including underground vaults), and storm water management facilities within the common areas. The HOA makes sure that the common areas are kept in good, clean, attractive, and sanitary condition. The HOA is responsible for arranging snow removal from the common areas such as the interior private streets and interior and perimeter sidewalks around the entire property. The HOA is also responsible for enforcing the bylaws, incorporating documents, covenants, rules and restrictions of the property. What do my homeowner's dues pay for? The HOA dues pay for the following: operating expense of common areas and facilities; management and administrative fees; common area property taxes and county assessments; extended liability insurance for common areas; utilities for common areas; trash and recycling removal; maintenance, repair and landscaping of all exterior areas; funding reserves; the implementation, administration and enforcement of the declaration and bylaws documents; and maintenance of guest parking easement area. How do I get appointed to the HOA board? Directors to the HOA board can be nominated by a nominating committee. Nominations also can be made from the floor of the annual meeting. A form is typically submitted to members with the annual meeting notice calling for nominations, and any owner in good standing can apply. How long are the HOA board terms? An HOA Board Director term is for three (3) years. How many people may serve on the HOA board? There must be a minumum of three (3) board members and no more than seven (7). There should be an odd number of members on the board to ensure there are no ties in voting matters. What are the powers and duties of the HOA Board of Directors? Who is eligible to serve on the HOA board? To serve on the HOA board you must be the owner of a lot within the property, an officer of a corporate owner of a property, a partner in a partnership owning the property, or a trustee of the trust owning a lot. If a Director ceases to be eligible to serve, through sale of the property or other reason, the Director's term is terminated immediately. What are individual homeowners responsible for? 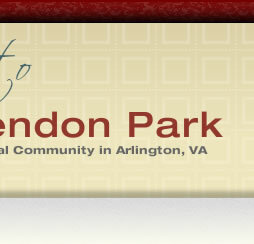 Individual homeowners in the Clarendon Park HOA are responsible for maintaining their individual lots, including, without limitation, the dwelling unit, steps, stoops, fences, porches, patios, decks, individual driveways, curbs, and columns. Homeowners are required by the bylaws and other governing documents to keep their homes in good order and repair and in a clean and sanitary condition. The homes should be free of debris and kept in a manner that is consistent with good property management. Each owner is solely responsible for watering his or her front, side, and rear yard areas, including shrubbery. Homeowners should keep outside lighting maintained and in good working order. What do I need to know if I lease my unit to a tenant? 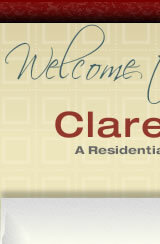 You are welcome to lease your unit. You are required by the CC&R document to have your rental agreement in writing and to make sure that your tenants are aware of the conditions, restrictions, and requirements of the property. The townhouses cannot be used as a rooming or boarding house nor as a child development center. No subletting by a tenant is allowed. Any fines or liens placed on the unit by the HOA are the responsibility of the homeowner. I have a guest (or a contractor); where can they park? Guest parking spaces are available behind the Starbucks in the alley on North Danville Street. These four spaces are available on a first-come, first-served basis without charge for the sole use of Clarendon Park guests and contractors. Residents and tenants are not allowed to park their personal vehicles in these spaces. Each homeowner is entitled to ten (10) guest parking permits per year. The permits are good for three (3) days. Cars without permits may be towed; the number of the towing company can be found on the signs located in this area. The guest spaces are full; what are my other options for parking? Evening and weekend visitors should be encouraged to use guest parking spaces in the parking garage on Fillmore Street (at normal lot rates) if no parking spaces are available on the streets surrounding the community. I am moving. Can the moving truck park in the alleyway behind my townhouse? No vehicle shall be parked or left unattended in the fire lanes, pedestrian use areas, or on lawns. Owners, residents and tenants, as well as their guests and contractors, may expose themselves to additional liability if access for emergency vehicles is obstructed. Residences should contact Arlington County and request street parking permission for moving vans. What is the Clarendon Park pet policy? Pets shall not be permitted on the common areas unless accompanied by a responsible person and unless they are carried or leashed. All pets should be registered, inoculated, and tagged as required by law. Each owner or their guest(s) who walks a pet on the common area is required to clean up any and all solid waste deposited by their pet. What is the policy on trash and recyclables? Trash is currently picked up on Tuesday and Friday each week by a private vendor. Recycling is picked up on Wednesday. All trash containers, recycling containers, and other refuse disposal systems must be kept inside the garage of the owner's unit and shall not be permitted to remain in public view from another lot except on days of trash collection. Because trash is often picked up in the early morning, owners are permitted to put out trash containers the evening before pickup. Trash should be placed inside approved, covered containers in order to not attract rodents to the property. May I have a decorative lawn ornament on my property? No decorative lawn ornaments shall be erected, installed, used, or maintained on or in the front, side, or back yard of any lot. May I have a decorative plaque on my townhouse? A decorative plaque is permitted to be affixed to the front of the townhouse or the front porch, provided that each homeowner affix only one decorative plaque and provided that each plaque shall not exceed 12" x 10" in size. If you wish to display a larger decorative plaque or multiple plaques, you will need to submit a request in writing to the Architecture Review Board for consideration. May I have a wreath on my front door? Wreaths are permitted to be placed on the front doors provided that they do not exceed 24". If you wish to display a larger wreath, you must submit a request in writing to the Architecture Review Board for consideration. May I add an extra door lock to my front door? Although our neighborhood is generally safe, some homeowners may elect to add an additional deadbolt lock on their front door. Adding a second lock is approved provided the lock is similar in size to the existing lock and is finished in antique brass to match the original door handle and lock. Replacement locks and door handles also must match the original antique brass finish. May I display flower boxes on my railings? Flower boxes are permitted to be placed on the railings of back decks and front porches provided they are not longer than two (2) feet in length, one (1) foot in width and one (1) foot high. Pots shall be no greater than 16 inches wide. In addition, flower boxes generally should be consistent with the arts and crafts decor of the Clarendon Park community. Flower pots may be hung from the ceiling of front porches. No boxes or pots shall be affixed to the privacy walls that separate the homeowners' decks. It is the responsibility of the resident to maintain the flowers or other foliage in his/her boxes or pots and to keep them alive and well-pruned. Dead flowers and plants should be discarded. Plastic flowers are not permitted. Be sure to consider safety when installing to make sure that the pots and boxes are secure and will not fall from the balconies or railings, risking injury. I want to sell my townhome. What are the rules for displaying real estate signs? Real estate signs may be displayed from the initial date of property listing until the date that all contract contingencies are removed. For sale/rent signs shall be no larger than two (2) feet by two (2) feet and placed directly in front of the house for sale by means of a rust-free metal stand with an overall height not greater than four (4) feet. If no garden space is available to place the metal stand, then attachment to the front handrails by nylon zip strips is permitted. No wood sign posts are permitted. Directional signs are permitted provided that they are properly maintained by the listing company. Balloons attached to real estate signs shall be permitted only on the day of an open house and must be removed the same day. Real estate signs may not be displayed in any window or on a rear porch handrail. No other type of signage may be displayed with the written consent of the Architecture Review Board. May I display a flag from my front porch or balcony? The displaying of the United States flag shall be permitted provided that such flag not exceed three (3) feet by five (5) feet. The flag may be attached to the front porch/house exterior via an all-weather holder with non-rusting screws. It is the universal custom to display the flag only from sunrise to sunset; however when properly illuminated the flag may be displayed twenty-four (24) hours. Any proposed lighting for this purpose must be submitted to the Architecture Review Board for approval. The United States flag should not be displayed on days of inclement weather unless it is an all-weather flag. Decorative flags are not permitted.